The 2015 Women’s Basketball Championship gets underway this weekend in Auckland with the Canterbury Wildcats opening their campaign against last year’s beaten finalists Waikato Wizards at midday on Friday. Thirty-two games are scheduled for the weekend as the twelve teams strive for a place amongst the top six sides that will contest the championship section at tournament three in Porirua in early June. All twelve teams will play each other over tournaments one and two. The second tournament will be hosted by Canterbury Basketball at Cowles Stadium, May 15-17. The Wildcats have undergone some changes in 2015. Lori McDaniel has taken over the coaching reins from Phil Burns and has had to make some adjustments following the departure of key forwards Tessa Boagni (attending Cal State –Northridge) and Bridgette Lawn (overseas). The Wildcats are boosted by the return of Pip Connell, the 26 year old forward returns after two years absence due to injury. Also in the front court will be American Darcy Rose, a graduate from Dartmouth University. Rose played four seasons for the prestigious Ivy League Big Green’s between 2005-2009. 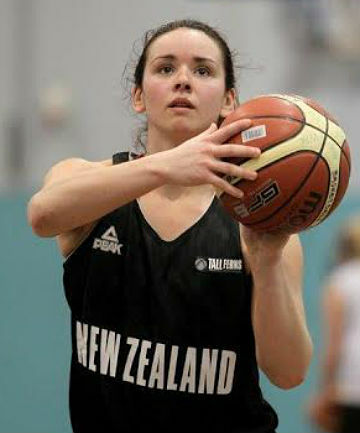 Playing alongside Rose and Connell will be Junior Tall Fern Connie Poletti who has shifted from Taranaki prior to attending junior college in America later in the year. The back court will come under the stewardship of the experienced Shea Crotty and Hayley Gray. Expect the ‘Cat’s’ to make a strong run at the title this year.